As Mizoram gears up for Christmas, security has been intensified to ensure public safety in the state. The Mizoram Police has made elaborate security arrangements including deployment of adequate security personnel at all strategic locations to ensure public safety during Christmas. Temporary beat offices are being set up in the capital town of Aizawl at public locations and patrolling has been carried out 24/7. Christmas shopping is at its height in Aizawl and all the major malls and markets are packed with enthused shoppers from rural areas as well as Aizawlites. “While most of us are in our joyous Christmas mood, pickpockets are taking chances in the congested areas, over thrilled youths and reckless driving, drunken drivers can cause severe casualties, we are taking no chances and everything in our capacity is being deployed to ensure a safe Christmas,” Neihchungnunga, superintendent of police, Aizawl district said. 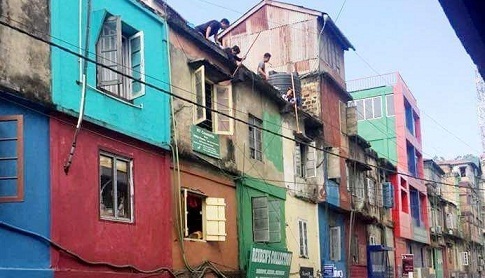 The Aizawl police started mobile checking on Wednesday night and as many as 93 defaulters were arrested. The Aizawl traffic police have already enforced zero tolerance drive for more than a week and thousands of traffic rules offenders are already fined. 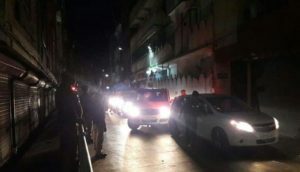 Police sources have said that security arrangements were made not only in Aizawl but also in all the important cities, towns and villages across Mizoram. “To ensure safety on the highways our boys are on duty on all major roads with breath analysers to nab any drunk driver especially public transport drivers,” Aizawl SP said. “All police stations within the city and adjoining localities are instructed to make temporary beat posts to provide adequate security during Christmas and holidays,” the SP added. Special security drive will also be enforced at Rangvamual, a locality about 5 kilometres from Aizawl notorious for country liquors. “Round the clock vigil will be kept here, and since there is no thana or lockup we can use, a prisoner van will be parked at the makeshift police post, this post will be manned by a sub inspector and at least a dozen of policemen,” said a police officer in charge of this area. Christmas, for the Mizos is the one time of the year when merriment and enjoyment flow in large doses. Costume parades, parties, rock concerts and on the religious side, endless carols and church rituals accompanied by mass feasts for the church members mark this day. The law keepers, especially the policemen missed out most of the fun and frolics due to the call of duties. Knowing the parties and the feasts the policemen miss during Christmas, Aizawl SP has made special arrangements for the policemen. “We have received donations and presents from our own Santas, after all the boys will have special feasts,” Neihchungnunga said with a smile and a sense of appreciation for his officers and policemen.